Click to download all prayers. Novena prayers to St. John Neumann, C.Ss.R. My God, possess me that I may become a fit instrument of your graces and mercies to the souls you have confided to my care. If you know that success will make me vain, do not, on that account allow me to fail. Humble me in some other way, but do not punish me through those you have confided to me. My heart is pierced with sorrow when I hear of the loss of one of my sheep. Lord Jesus, have mercy. Permit not that any one of those whom you have entrusted to me should be lost. O my Jesus, I will pray, fast, suffer, and, with the help of your grace, sacrifice life itself. O Lord, imbue my words with power and healing that they may glorify the truth. As for myself, I am fully satisfied with the labors assigned to me in your vineyard, for I came here to atone for my sins and to win souls for God. Nowhere can a better opportunity be found for doing good. May God grant me the grace to discharge my duties in a worthy and fruitful manner. . . .
O my Jesus, though I am poor in so many ways and so ignorant, I have been chosen as a shepherd to your sheep. Give me an ever-increasing love for those souls redeemed by your Precious Blood, that I may labor at their salvation in wisdom, patience, and holiness. Grant that not one of those you have confided to me may be lost through my fault. O my Jesus, help me to sanctify those committed to my care. O holy Mother of my Lord, pray for me and for those in my vineyard. Holy guardian angels of these dear ones, teach me how to act toward them so as to be able to instill into their hearts the maxims of faith and true love of God. Lord, teach me how to live and, if need be, to die, that all may be saved, that all may love and praise you throughout all eternity, that they may also love and cherish your dear Mother. A daily prayer through the merits of St. John Neumann, C.Ss.R. God, our Father, You are the source of hope for all who believe. Hear and answer the prayer I offer You through the merits of St. John Neumann, Your devoted son and servant. In his name and for Your greater honor and glory, give me the graces I need to live as he lived. In all that I do in this life, may I be motivated by love for You and for all mankind. May faith be the cornerstone of my life, and may I reflect your presence living within me to everyone I meet. I place my life in Your hands. Help me to see in all my needs, my problems, and my crosses Your love working for my sanctification. Through the intercession of St. John Neumann, watch over me today and every day so I may persevere in the Christian life to the end and share in the happiness of Mary and all the saints who live in Your presence. I ask You this through Christ, Your Son, Our Lord. Amen. 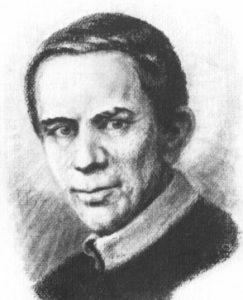 O St. John Neumann, your ardent desire of bringing all souls to Christ impelled you to leave home and country; teach us to live worthily in the spirit of our baptism which makes us all children of the one Heavenly Father and brothers of Jesus Christ, the first-born of the family of God. Obtain for us that complete dedication in the service of the needy, the weak, the afflicted, and the abandoned which so characterized your life. Help us to walk perseveringly in the difficult and at times painful paths of duty, strengthened by the Body and Blood of our Redeemer and under the watchful protection of Mary our Mother. May death still find us on the sure road to our Father’s house, with the light of living faith in our hearts. A prayer with St. John Neumann, C.Ss.R. to respond gladly to God’s call to holiness. to answer God’s call for service in the Church. to burn with the divine Word that they proclaim. To serve in vowed commitment to the Lord. to walk faithfully in the footsteps of their founders. to shepherd us in building God’s kingdom today. St. John Neumann, help us all. Amen. The selfless prayer with St. John Neumann, C.Ss.R. Dear Lord, make me selfless as St. John Neumann was. Throughout my life, give me the grace to direct my first thoughts to the service of You and of others. Make my prayer “Your will be done,” knowing that in Your mercy and love, Your will for me is my sanctification. Merciful Father, You have given me all that I have in this world, even life itself. In all my daily needs, help me to remember the needs of others too. Make me aware of the need to pray to You, not just for myself but also for the Church, the pope, the clergy, and all people who suffer any need. I ask this through Jesus Christ, Our Lord. Amen. The comfort of God’s grace. Be with us in all we do! Keep us close to God and you. With hope in every need! The cause of all to plead. And live with Him one day.